Canada (Alberto Cerritos, Bianca Guna, James K-M), Denmark (Lars Heiberg, Mik Peter Rasmussen), Egypt (Khaled Siraq), France (Maria de Morais, Delphine Portier), Hungary (Beata Rostas), India (Manvendra Begerhotta), Ireland (Susanne Iles), Italy (Giulio Baistrocchi), Mexico (Paola Gonzalez), Netherlands (Maikel van Stralen), Norway (Elly Prestegaard), Poland (Lola Fischer), Portugal (Alberto D’Assumpcao), Romania (Simona Gocan, Cristina Lauric, Constantin Severin), Russian Federation (Alex Schukin), Spain (Aitor Arakistain, David Heras Verde), Switzerland (Pia Baechler-Lehmann), UK (Bruce Rimell, Shaida Parveen), USA (Cile Bailey, Daniel Chavez, Matt Lewis, Cruz Montoya, Harry Spitz, Jamie Winter). I had the idea to invent this concept, after a serious study of the most representatives Romanian artists of the 20th century, from Brancusi to Maitec and Tuculescu, but also inspired by the works of some Modern masters like Klee and Mondrian, and I published the first notes about this concept in 2000 and 2001. My concept was agreed by the art experts from EuroNews, who included three of my solo shows of archetypal expressionism (Bucovina Museum, Suceava, 2004; Nahvision Gallery, Stuttgart, Germany, 2004; Lascar Vorel Art Gallery, Piatra Neamt, Romania, 2009), on the EuroNews Agenda with the major cultural events in Europe. The art journalists from EuroNews told me, in 2004, when I was in Stuttgart with my solo exhibition, that my monochrome paintings in oil on canvas are unique and they’d be proud to have such an artwork in their office. Many Romanian cultural journalists, art critics and teachers from universities wrote about my new concept ( my exhibition from Stuttgart was presented by the German art historian, Brigitte Moritz). The Practical Response: There are millions of artists out there, all swimming around like fish in a pond, all trying to get recognised. To align oneself with a paradigm can be a useful way of making a name. Admittedly it’s not really what I do, but if someone wants to make a movement out of a paradigm, more power to them. The Annoyed Artist’s Response: For far too long, artists have been pushed into following paradigms that have largely been formulated by critics and commentators. As someone who teaches in an Art College I see this every day. Graduates struggle to break out of these paradigms after leaving, especially since many gallery owners actively encourage the continuation of this paradigmatism (good word, hey?). Here, at last, we seem to have a new or potentially new paradigm created by an artist, not a critic. Thus it has potential for genuine insight beyond the intellectual (which is all most critics can offer). I think this is a good thing. The Social Commentator’s Response (Exasperated): …if all artists ever produce are archetypes then this clicks into that John Forbes Nash slash John Buchanan model of humans as rational self-serving automatons, post-modernly devouring the past and repackaging it for the future. I don’t buy it, never did. If everything is archetype, then no new insights are available. This is not my experience as an artist or a human being. The Round-Up Response: …all of which goes to say that Archetypal expressionism can be a valid concept/movement/whatever since archetype is produced by only *some* artists, not all. For me, the responses I’ve had from Constantin regarding this paradigm have been quite personal, and quite referent to my work as an artist. This impresses me. Many people try to classify my work without really looking at it. I don’t get that impression with Constantin – I think he’s seen something in my work which chimes strongly, and that’s why I’m excited about this idea of his. I have been looking for, or wanting to use in regards to my work. I wrote in the group that i thought maybe i would add abstract to it in the sense, that i pull these archytypes (a word i have in much of my writing and have been using since reading jung and exploring language theory such as levi-strauss) out of abstraction, I am interested in how paint or marks can suggest or trigger visual memory, and therefore, can be used in communication. How recall and use this information is part of what we call language, but give little credit to. My ideas for my ‘found head series”(for lack of better words), came out of the ideas of da vinci, max ernst, francis bacon, all my favorites, and it is as you say something primal that goes back to the beginnings of pictural representation. I have never really thought of directly reusing archetypes of cultures from the past as you have, that is an interesting concept -maybe i do a little in the sense of making a image which recalls a likeness like einstein at the chalkboard … but I am more interested in general archytype, how the mind grasps concepts and images, how we are able to read abstraction as order. how we percieve … and then of course the elusive definition of beauty and how that is captured, formed and perpetuated by art. It has been somewhat a struggle to me to write down my thoughts and theories about this … but I am encouraged by your idea and think you have helped my break through something conceptually. I had the thought and it is still early in our “friendship” having just met you to ask, but I would be interested in having you write something about my work for my website, maybe we could work out a trade for an artwork? it just seems you are very clear on your ideas and saw something in my art. I would love to read more of your theory and writing or to hear it directly from you and have a conversation. Skype is a free download (google it) and enables you with a simple microphone to make phone calls computer to computer (free) and computer to phone (small charges) around the world to other skype users. If you ever get it i would love to talk to you in person as i think our conversation might be lengthly and i dont think I could afford that to romania( but i could check the rates) until then chatting here will have to do. I can’t tell you how important and embarassing was your message!!! For the first time in my life someone told me what my art is!!! I’m fighting everyday to go ahead, believing in my own proposal of beauty and harmony, as I believe art it is!!! And your words gave me that necessary courage to believe!!! When I saw your artworks, I identified the same necessity to go to the bottom of our soul to bring that little treasure of harmony and happiness to create! You don’t imagine how you have helped me!!! As you can see, I’m busy for teaching and several design projects (including VR & multimedia design), and this is my last semester to finish and present my thesis. But I’m always thinking of our collaboration, which will be very significant to me. It would be a new media project combining digital language and painting components. Ideally, I hope to converge digital animation, sound, interaction, or even live presentation, together to create an immersive experience in both real gallery & virtual space. “ARCHETYPAL EXPRESSIONISM” is a wonderful concept we may work with. Maybe using VR to interpret some of your poems as well? VR projects usually cost a lot for the devices and software, we’d better have a detailed proposal for funding first. Your info for residency sounds very helpful too. Let’s plan it carefully. Thanks for your patience! It looks like our move is going smoothly. I should be up and running and ready to contribute more to your group in the next two weeks. I’m also in the process of scouting out gallery space here in Ireland.I would love to open a gallery where artist’s could show Archetypal artwork … it is an experience I think the general public and the world needs. Hopefully I will be able to do it this year. I have a question for you … I found your blog online and would love to subscribe to it. Do you have a subscription button on your site? I tried to use the link at the very bottom of the page but it didn’t seem to be working. Best to you … I look forward to speaking with you soon and contributing to the group. 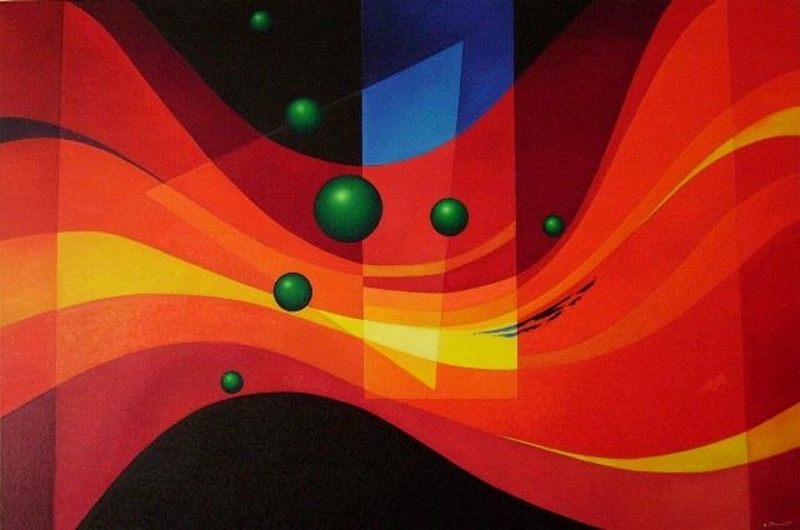 This entry was posted in Art and tagged alberto d'assumpcao, archetypal expressionism group, artmesh, bruce rimmel, Lily Yang, rodney artiles, susanna iles. Bookmark the permalink.